Hill-Rom — Xymox Technologies, Inc.
Hill-Rom is a US based manufacturer of hospital beds and other equipment. Their engineering is done primarily in the United States, and much of their manufacturing is completed in China either in their own facilities or through contract manufacturers. Hill-Rom was having difficulty with several membrane switch prototypes that had been quoted from Chinese sources. Their problems were with communication, design details, and a specific technical hurdle regarding embossing that they require on their buttons. Through the use of Xymox’s manufacturing locations in China, we were able to manufacture parts in Asia, where Hill-Rom wanted to receive them, and all the design challenges were solved in the US. 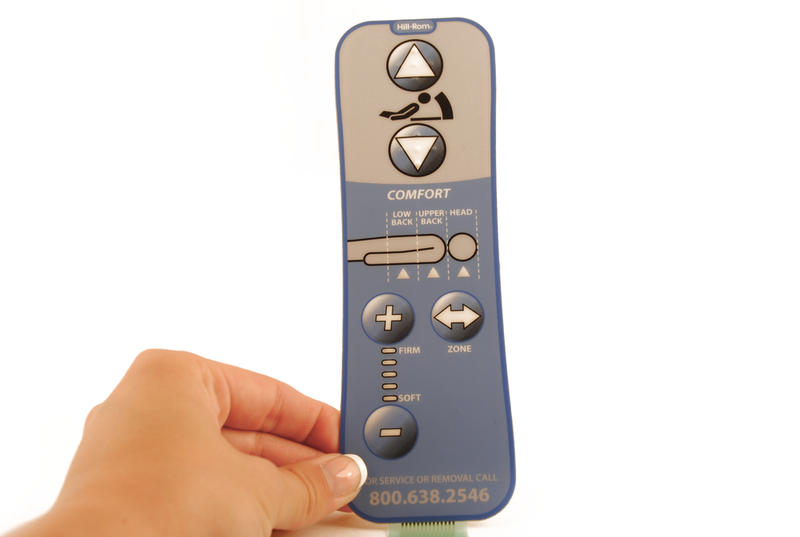 This was a case of Hill-Rom getting the best of both worlds for the project – a domestically engineered product worked out between Xymox USA and Hill-Rom USA, and a Chinese manufactured membrane switch that is able to ship direct to the CM. The result is a satisfied customer getting the right parts made to their specifications at the right price in the right region. What global manufacturers do you have in your territory? How can you open conversations with them to solve their touch interface challenges domestically and leverage manufacturing in Asia to meet their logistical and price needs? Who can you talk to today that can take advantage of Xymox’s global capabilities?